All-In-One Suppliers is a recognized leader in the store fixture and display business. Since 1914, we have prided ourselves on offering the highest quality products and personalized, customer service that is second to none. We're constantly researching manufacturers to find the products that offer the greatest value to our customers. Our motto is, "Everything from a pin to a mannequin," and we mean it. If there's a product you're seeking but cannot find, chances are that we carry it or can custom-design it to your specifications. We're the only major store fixture and display business located in New York City's famed garment district. So whether your retail business is located in the Tri-state area or you're visiting New York on business, stop by our showroom to check out our merchandise and speak with our sales professionals. We're located at 223 West 35th Street between 7th and 8th Avenues, which is just four cross-town blocks from the Jacob Javits Convention Center. The Dressner family appreciates the loyalty of our existing customers and always welcomes new businesses to call,stop by our showroom, or visit us online. Your success is the measure of our own! All-In-One recently passed a major milestone. 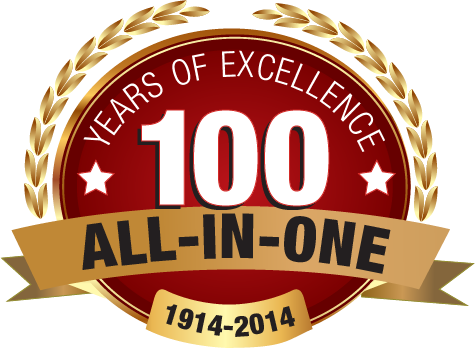 In 2014 our family-owned business celebrated its 100-year anniversary. 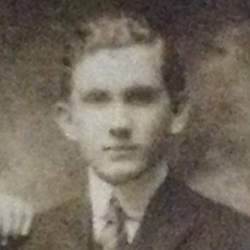 Our family-owned business is celebrating our 100-year anniversary. 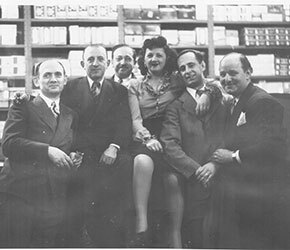 The company was founded in 1914 by Herman Dressner, a Russian immigrant and the fourth oldest of 10 children. In our long history, the company has played a role in the retail success of tens of thousands of businesses across the U.S. and in dozens of countries around the world. We've helped businesses grow during prosperous times, and we've helped our customers navigate challenging times like the Great Depression and the economic slowdown of the past five years. Help mark our anniversary by being a part of the All-In-One family. If you're a current customer, welcome back. If you're visiting us for the first time, we invite you to contact us to find out how we can help you be more successful. Herman Dressner founds the company and locates it at 46 West 17th Street. 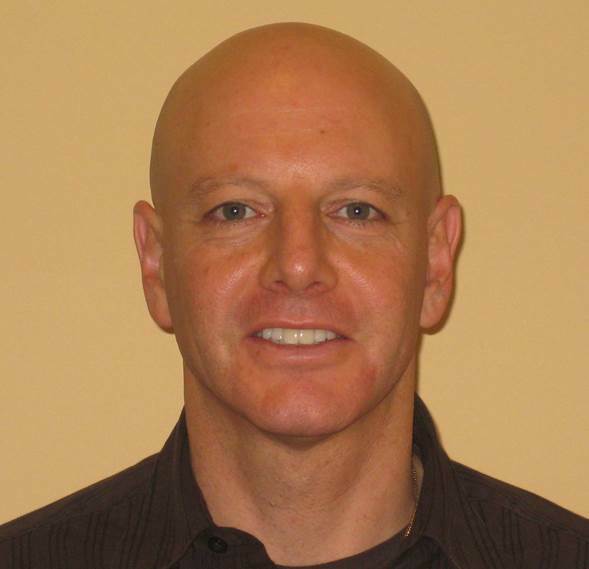 Younger brother George Dressner joins the company. Great Depression hits. Times are tough, but All-In-One perseveres. 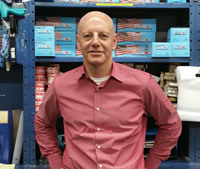 George Dressner becomes the company's second president after the death of his older brother and the company's founder, Herman Dressner. Younger brother Sam Dressner joins the company. 1st print catalog is produced. Export division is launched, with All-In-One serving customers worldwide. Adele Dressner, George's daughter, joins the business becoming All-In-One's first female executive. All-In-One begins offering Design Services to its customers. George Dressner retires. Brother, Sam, and daughter, Adele, assume leadership. Custom Design division is launched. 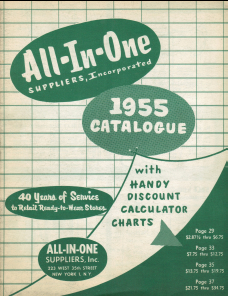 All-In-One modernizes, purchasing its first computer! Jacob Javits Convention Center opens, allowing All-In-One to service trade-show exhibitors from around the world. 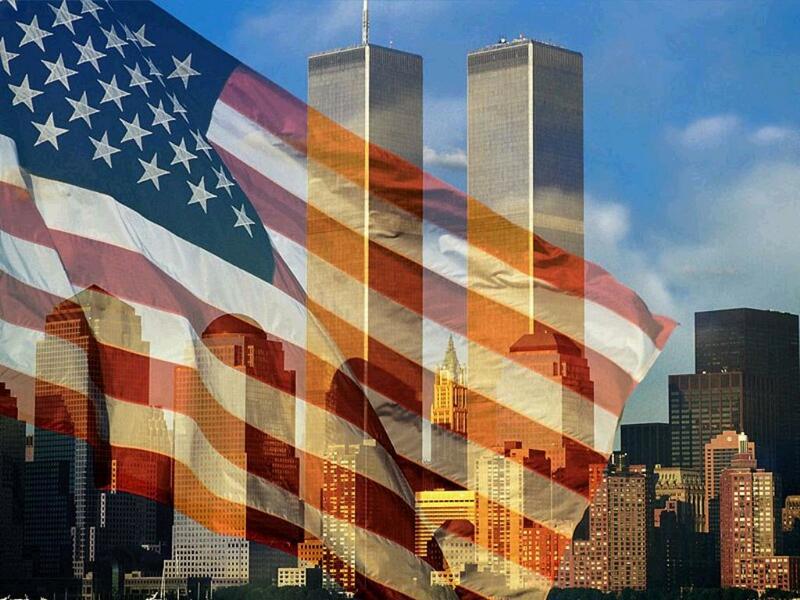 Following September 11 attacks, All-In-One shares in city’s pain and economic hardship…but once again perseveres. All-In-One's Internet debut. allinonesuppliers.com is launched. 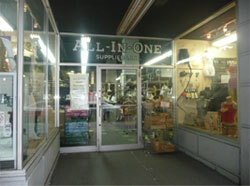 All-In-One becomes a member of the Garment District Business Improvement District (BID). 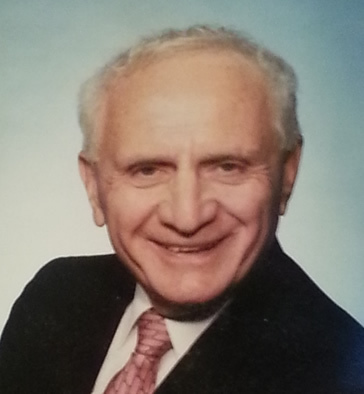 Sam Dressner, former All-In-One president, dies. He worked in the business for 59 years. Rental Services division is launched for customers in the Tri-state area. All-In-One enters the social media era with its Facebook launch. Jon, great nephew of All-In-One's founder, becomes the company's fifth president.